Rarotonga is the hub of the Cook Islands. Once a mighty volcano, Rarotonga is now a vibrant tropical paradise just waiting to be explored and enjoyed. Without a traffic light to be seen in the 32km circumference of the island you will immediately fall in love with this relaxed and friendly slice of paradise in the Pacific Ocean. Whether you are looking for an adrenaline packed adventure, a romantic get away or the perfect family holiday - Rarotonga has what you are looking for. Manea Beach Villas, your Muri Beach villa accommodation, is located only metres from the lagoon. Relax on the white sand, or wade to one of the motu (small islands) nearby. This is a fantastic holiday experience for everyone and highly recommended as a Rarotonga activity. Cruise the lagoon with local lads in an eco conscious glass bottom lagoon boat in the stunning Muri lagoon. Swim, snorkel and see clams (sometimes turtles too) and a myriad of tropical fish Your friendly guides will ensure an entertaining and enjoyable Cook Island experience. Enjoy a delicious fish BBQ lunch with tropical salads on Koromiri island. Take a day trip to Aitutaki Lagoon for a 5-hour Tiki Tour that showcases the amazing waters, with the chance to snorkel, swim, dive, and experience an island style BBQ lunch. Or try one of the many other water sports available! Complimentary kayaks and snorkelling gear is available right outside your door, so you can explore our lovely Muri Lagoon at your own pace. Manea Beach Villas is set on one of the nicest all tide swimming beaches in Rarotonga, with clear waters and soft glowing sand to soak in the sun. Even vacationers who have never snorkelled before will find our lagoon the perfect place to learn, and more experienced swimmers will still marvel at the assortment of marine life. With various raui (marine reserves) around the lagoon, you will have no trouble finding plenty of beautiful marine life. Snorkellers will love the rocky bays just under the surface of the sea, and our beach is a favourite among wind surfers. Diving in Rarotonga will take you on a journey through the Cook Islands wonderful underwater world and is available for beginners to experienced divers. Scuba and Padi courses available too. Our clear seas provide exellent visibility, often up to 200 feet, ideal for viewing the stunning coral reefs and variety of colorful marine life. Manea Beach Villas can help you plan your dive excursions to spots such as Swimthrough, Matavera Drop Off, Papu Canyon, and more, so you can see why underwater is another world to experience in Rarotonga. There are top-quality dive operators near our resort, and we will help you find the right one for your needs. 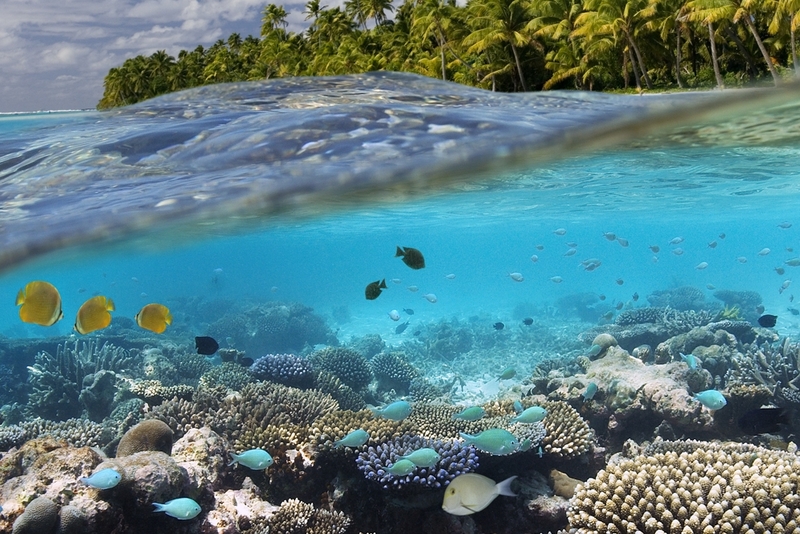 The Pacific offers some of the best deep sea fishing and Rarotonga is no different. There are many fishing charters to choose from and they cater for the larger groups to smaller and more initmate fishing experiences. Manea Beach Villas can help you so that you get the experience you are looking for. The Cook Islands is a perfect place to learn to kite surf or paddle board. Enjoy the beautiful lagoon, the sunshine and with all the equipment supplied for your water experience. A great holiday activity if water sports are your passion. Standup paddleboards, single and tandem kayaks, snorkel, mask and fin hire, private reef tours, night tours and night boarding. Super- bright LED lights shine deep into the water around and below your board, creating the sensation of paddling on a disc of light. PFD jackets are available for both adults and children. Please feel free to contact us for more information about any of these activities. Get off the beaten track and visit places that only a 4WD can go. Rarotonga's premium soft adventure tour is for all ages and those with disabilities. Visit mountain tops and enjoy fantastic panoramic views of the lagoon and sweeping valleys. Head inland and see how our ancestors lived. Stop for a refreshing tropical lunch while enjoying a breathtaking lagoon view. Take the track through Rarotonga's rugged mountains and enjoy learning about the flora and fauna of the island, including how plants are used for cooking, medicines and dyes. Your guide, Pa offers an entertaining commentary. Your trek includes transfers and a light lunch. Two hour trek on horseback around southern parts of Rarotonga including a leisurely ride at the waters edge of the lagoon. This is a gentle guided walk through the forest. A unique Cook Islands eco tourism venture which is managed by the landowners. The profits help support and ensure the survival of the endangered birds of Rarotonga. Lunch is included. Get on the bus with Going Troppo while on vacation and be taken on the party bus around Rarotonga's night spots. A good night out, good value and delivered safely home to your Rarotonga accommodation. Tours are available Wednesday, Friday and Saturday nights. Include in your accommodation package the only opportunity you will have to go in three local homes. You will be picked up at your Cook Islands holiday accommodation and be transported around for a unique dining opportunity to experience local food and Cook Island families. Mini golf catering for all ages. Serves fresh and yummy food at their on site café Open 10am to 10pm. Great for families and adults alike! Choose from a Quad Bike Adventure or an Island Buggy Explorer Adventure. Journey through the rugged mountain terrains of Rarotonga on the quad bike or take a drive in the island buggy through the back roads of Rarotonga. Both tours are directed by experienced tour guides and can easily be included in your Cook Islands accommodation package. A high wing Cessna operates on demand with a minimum of three passengers and is a great experience to see the inland of Rarotonga, the reef and you will fly all around the island, crossing a couple of times. While you are here, visiting our traditional cultural island markets is a must. You will find the best souvenirs and gifts to bring home from your holiday, like locally made perfumes, oils and soaps produced from the native flowers; clothing; wood crafts; woven baskets; art work; and of course black pearl jewellery. Experience the cultural beauty of the Cook Islands with stunning over water show at Te Vara Nui Village. Experience the legend of Tongaiti while sampling the mouth watering buffett dinner. A traditional cultural show with all the beautiful dancing and the drumming of the Cook Island. A bar is available. A leisurely 5 minute stroll from Manea Beach Villas, you will be able to hear the powerful drums dancing on the night from your deck. Cultural village tours are also available. Please contact us for more information about any of these activities.